And Justice For Art: Crowd-funding "Bloodlines." — An interview with Vincent Castiglia and John Borowski. Crowd-funding "Bloodlines." — An interview with Vincent Castiglia and John Borowski. Many people know that the "And Justice For Art" book was printed thanks to a crowd-funding campaign. That's why we understand the importance of being supported by the public in order to put together projects that otherwise could be difficult achieve. 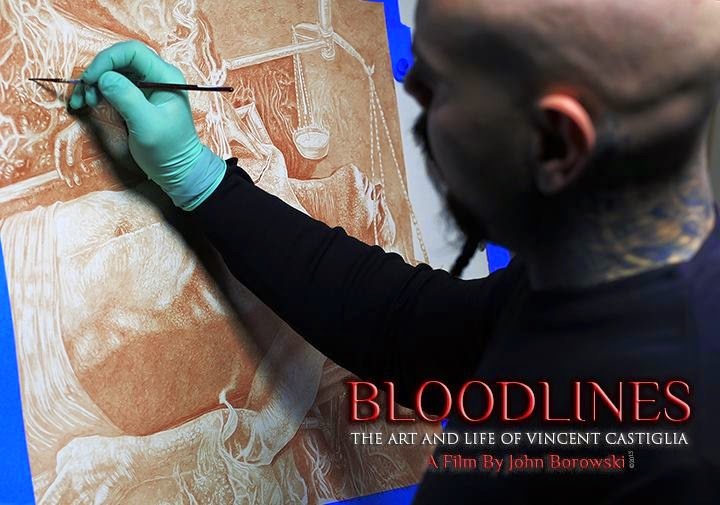 The promising documentary "Bloodlines: The Art & Life Of Vincent Castiglia," is one of those challenging-yet-interesting artistic endevours that deserve people's support. This film will focus its attention into the creative universe of Vincent Castiglia, a polemic New York-based artist that uses his own blood to create surreal canvases that explore dark aspects of the human condition throught a very affecting kind of imagery. We interviewed both Castiglia and director John Borowski about the origins of this project and their decision of trying to finance its production via a Kickstarter crowd-funding campaign. This documentary won't be the first time that John explores an obscure subject matter. He's done it before, especially around the lives of serial killers like Albert Fish and H.H Holmes. Although the grim tone will probably prevail in Bloodlines, this is definitely a detour because Vincent is actually a living artist, not a criminal or serial killer. Was this a conscious decision, to explore darkness through the life and works of a true artist like Castiglia? Vincent Castiglia: Just because I haven't killed anyone doesn't exempt murder from existing in my work. It does very much live in the work. It embodies the 'release' and 'containment' of these energies. And for that, a few very lucky people will lay their heads to their pillows another night. I'm no murderer. But 'murder' was injected into my heart. So, I just cope with things as best I can, which is to try to create some beauty out of it all. John Borowski: I personally find Vincent’s artwork uplifting and inspirational. His works of art encompass a broad spectrum of topics, but ultimately I feel they appeal to me because they are about life, history and the human condition. I always feel that we as a society should look into the mirror and try to understand ourselves as well as other human beings exhibiting human conditions which may be different from our own and at least try to understand them. Many people try to ignore the dark but in order for the light to exist there must be the dark, they have a symbiotic relationship. Were you aware of each other's works before deciding to do this documentary? 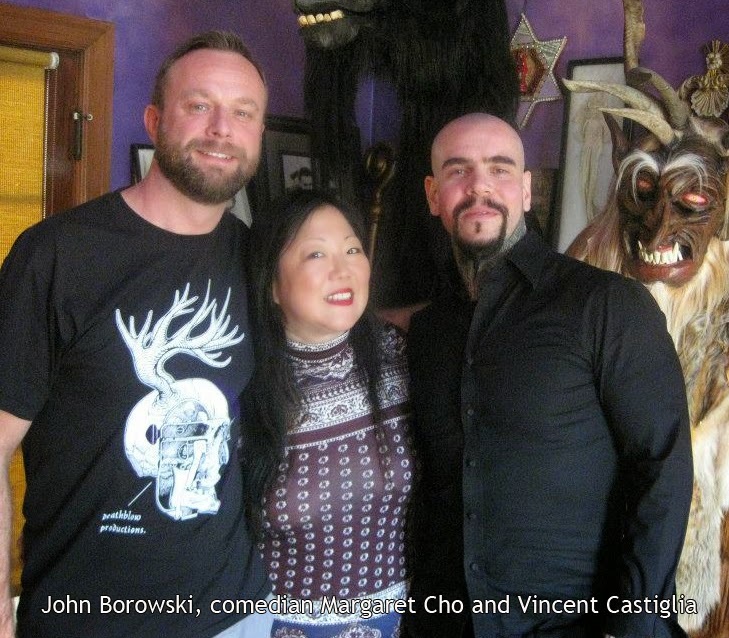 Vincent Castiglia: I was very familiar with John's work before John and I started our dialogue regarding a documentary. 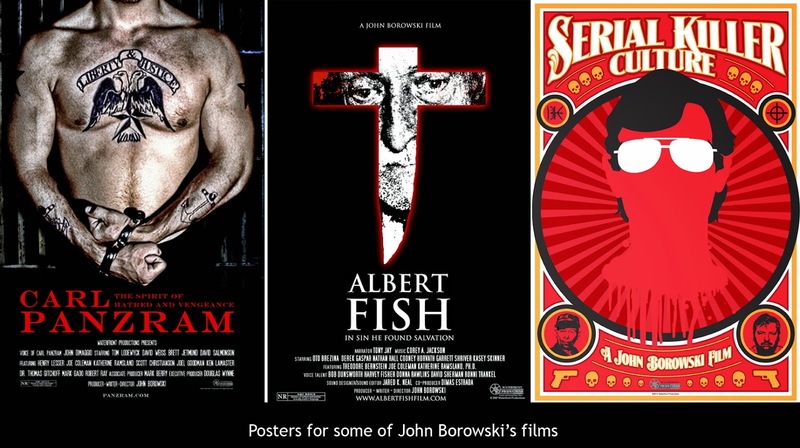 I had seen John's H.H Holmes and Albert Fish films, and was blown away by them. First of course the subject matter and facts of these figure's lives, but equally by John's vividly inspired portrayals of them both, cinematically. John Borowski: I was aware of Vincent’s art for some time. Then, Vincent posted an online survey asking for feedback regarding whether or not a reality show on his work was of interest to his followers, I replied: "You deserve better than a reality show that is sensational for a short time period but forgotten in the long run. You deserve a feature documentary film highlighting your life and the reasons behind why you create your art. A film will stand the test of time." So he asked me if I was interested and we both agreed to work together on a film based on his life and art, focusing on where the inspiration for his art has come from as well as the process by which he creates his art. I first met Vincent in the summer of 2014 when I flew to New York to meet him and have my blood drawn for a portrait of myself painted by Vincent in my own blood. We bonded very quickly as we are both cat lovers and Vincent is very much like myself, a kind, compassionate, and respectful person. Vincent, two of your most distinctive trademarks are the eerie and psychologically-disturbing subject matter you explore using Surrealism and of course, the fact that you paint using human blood. Can you tell me more about using blood as weapon of choice for your paintings? Vincent Castiglia: I’d worked in every medium, and was at a place where I was happy with the content of the work (the images themselves) but still did not connect with the substance with which I was rendering the work. The work embodies a lot of extremely intense emotions, and experiences. Pain was the operative force at that time, so I felt, what better, more accurate way to communicate this than with a literal act which pain was a part of, and would cause a release of the one substance that is so essentially a part of me? It was there that I started experimenting with using my own blood in the work. I fell in love. It was the first time I’d ever felt truly one with my own work, and that something entirely truthful was being conveyed. It started in small amounts. But as the process evolved, using it at first for highlights and backgrounds, to painting exclusively with blood, the requirement for more blood grew. To speak candidly, my circumstances growing up and living conditions were a nightmare I barely escaped with my life, and my sanity (which is arguable anyway). Making art was how I survived. It started as the most effective way to dissociate from everything around me, where I found fleeting bits of reprieve from the horror. Then, as I kept doing it, making art just became something I did naturally, obsessively, and couldn’t get away from. Eventually, it became a kind of salvation, and place to put absolutely everything I couldn’t express in any other way. It was the one place I could create beauty out of the incredible monstrosity which was reality at the time. And today, it’s actually my 'guiding force’. If I didn’t have my work as an outlet over the course of my life, I’d certainly be dead or in prison at this point. At what point and why you decided to explore the crowd-funding route in order to put together “Bloodlines: The Art and Life of Vincent Castiglia”? John Borowski: As Vincent is a living, contemporary subject, I can complete a film on his life in a relatively short period of time if I have the complete funding up front rather than piecing it together over many years. This is the dark ages for artists where many are creating, but the field is saturated for artists asking for funding. Our country really doesn’t supports artists as well as other countries do and that is very sad but what else can you expect from a country that has been raised on big macs and top 40 songs? It is a time now where artists are struggling yet garbage is revered and makes others millions of dollars while true artists live paltry lives and suffer daily by working menial jobs with people who demean them. I know this is true as I have been there. Crowd funding has a science of its own and often requires the person running the fundraiser to know people with money already. How is it that some campaigns fail, yet others gain a tremendous amount above and beyond the goal amount they are asking for? It seems to defeat the purpose but the little artists are now competing with major Hollywood figures who also run crowdfunding campaigns, who of course gain all the publicity and interest. Film production in its different phases, is a very complex and expensive process. In fact, some people really don’t understand such complexities. Could briefly give us an idea about how the money from the crowd-funding campaign will be used? John Borowski: I live in Chicago and must travel to New York to interview and film Vincent at various times of the year. Travel is a big cost. We also intend to travel and interview Vincent’s collectors and other celebrities familiar with his work in the U.S. and worldwide. In those travels there are expenses of hotels, transportation/flights/car rentals, food, crew and equipment as well as many other costs. For post production there are costs on editing, music composition, sound mixing and mastering as well as the cost of DVD authoring and replication. The $25,000 we are asking for is an extremely low budget for a film of this type and would normally cost in excess of $75,000. Could you tell us more about the perks you’re offering to contributors? John Borowski: There are many great perks ranging from museum quality collectors prints of Vincent’s works to DVD’s and books of my works. Most exciting are the perks where Vincent creates original works for the contributions such as a portrait of the backer painted in Vincent’s own blood. Some perks even include a paintbrush which Vincent painted his works with. Imagine having a Picasso paintbrush? It is an amazing concept that I hope people take advantage of and contribute. We really need the campaign to succeed as there are no other funding options on the table at this time. After the campaign ends… How long you think will pass before people have the opportunity of watching the finished film? John Borowski: We are looking at being in production on the film for approximately one year, so we are looking at a completion date of January 2016. Vincent... In which ways you think this documentary will expand the awareness towards your work? Vincent Castiglia: I believe it will expand awareness greatly. Given the subject matter and medium, I think it's possible to form unfounded prejudices about it, why it's created, and where it comes. If the general public were granted access to process and it's background, I think it would stand a greater chance for genuine appreciation of it's sincerity and technical merit. Your most popular work among Metal fans is your spectacular rendition of Triptykon for their debut album. 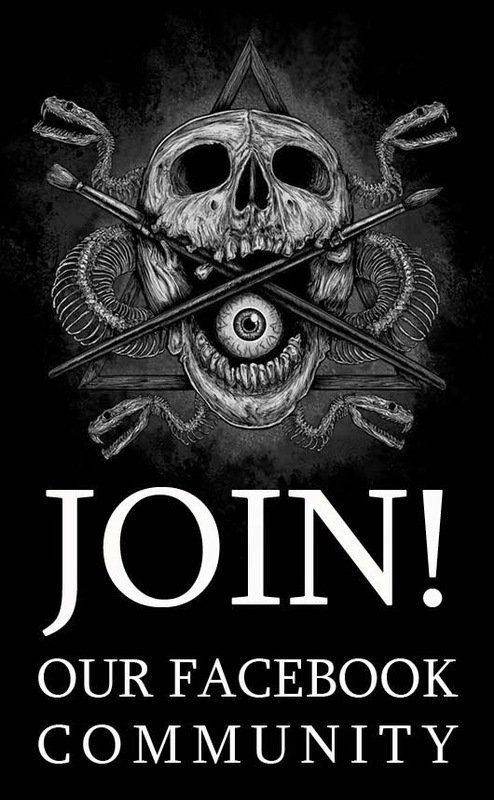 Have you considered becoming more involved with creating artworks for other bands or their albums? Vincent Castiglia: This was a great honor for me. And working with a band as great as Triptykon in the future would certainly be a very welcomed endeavor. Tank you for your post. It is really outstanding. The cost of DVD or CD duplication and replication is not that much high. Please click over CD & DVD Copies for more information related to the topic. One of the biggest issues with traditional funding, especially venture capital, is that such funding has a lot of risk associated with it.White Label Crowdfunding Software Venture capitalists are people or institutions that are oftentimes more interested in their own financial gain than they are in watching your business grow.